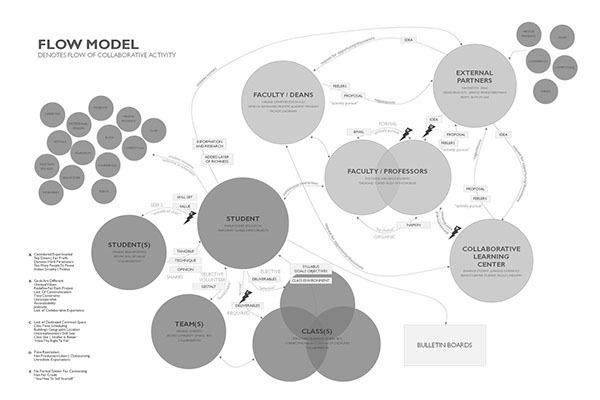 In our contextual research on collaboration for the Collaborative Learning Center at SCAD, my team was presented with techniques necessary to conduct useful research of a novel domain in context. 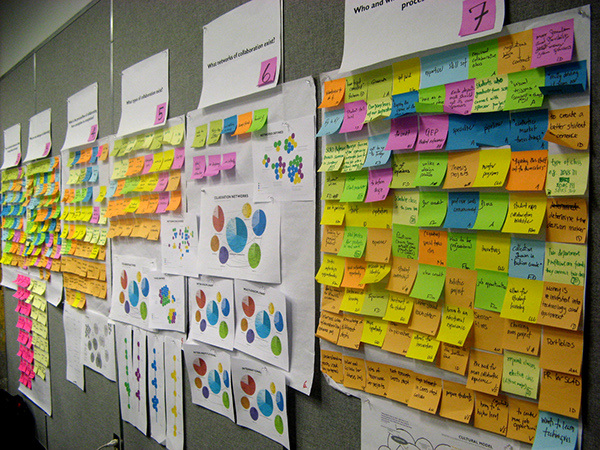 We gained knowledge and expertise to contribute to the design process in user-centered products and systems. During this course we experienced the various contextual research methods, including interviewing, ethnographic research, contextual inquiry and cultural probing techniques. We learned how to gather and analyze a large quantity of user research data and information and then used this data to model the users behaviors. Upon completing the field research, we organized all our data and began sharing with one another our experiences in the field. 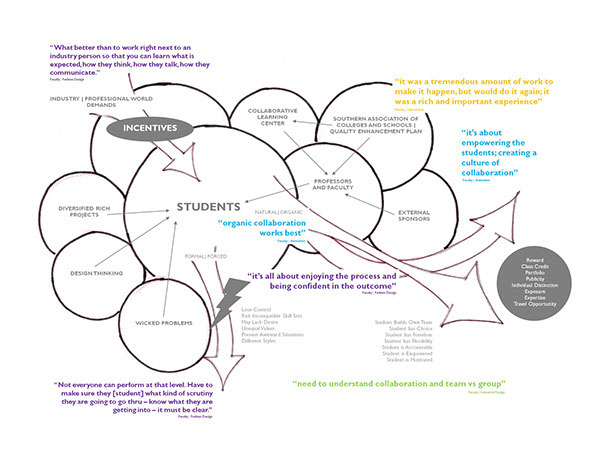 We were interested in finding the different networks and types of collaboration most prevalent within SCAD. To achieve this we went through our transcripts of interviews and pulled out the relevant data, such as who was involved in projects and quotes that gave a sense of the community at the different departments. Our team talked to 34 students across five departments, 12 faculty members, including chairs and deans. And learned about 41 different collaborative projects happening within those departments. 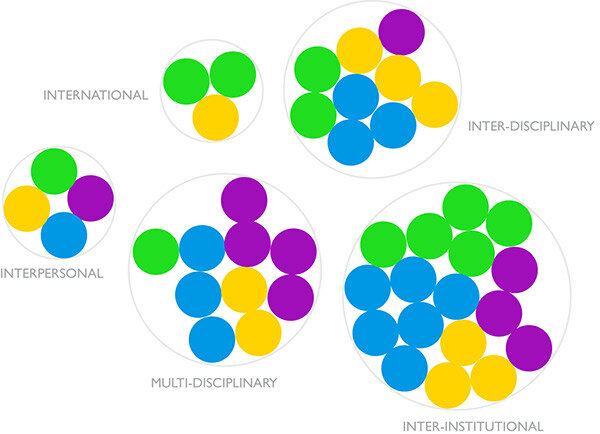 Collaborative connections and networks were discovered within departments, as well as across the various disciplines, creating an elaborate and integrated web. 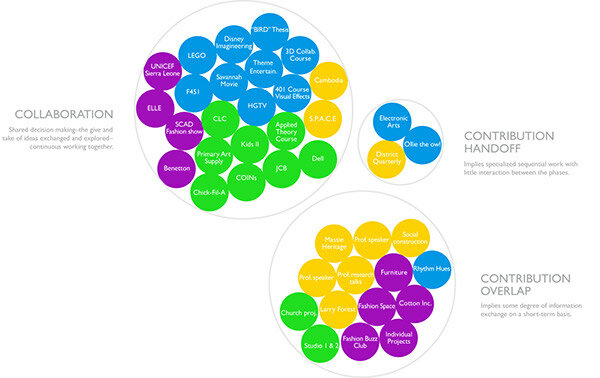 Using Sharon Poggenpohl's Practicing Collaboration in Design, these webs were further broken down into the types and networks of collaborations found at SCAD. Our final client presentation consisted of two components. We used half of the classroom to walk our client through our research methods and findings. The second component was a presentation with our insights and innovation opportunities we noticed. 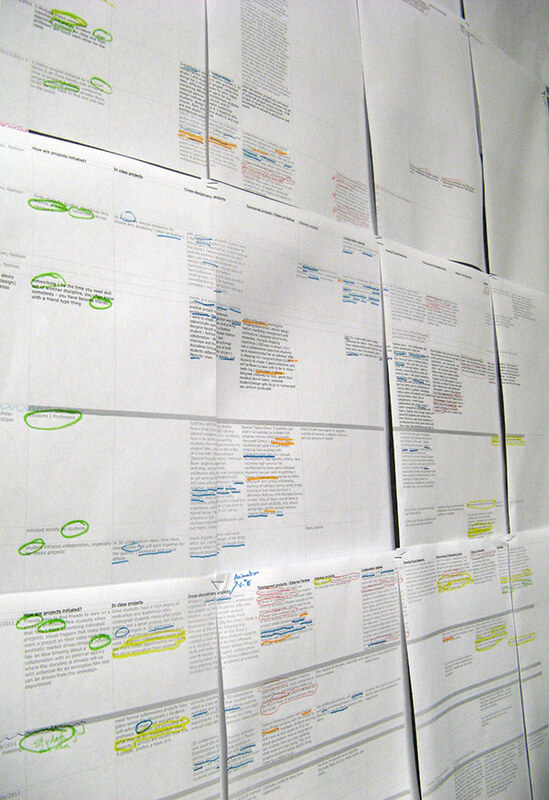 Feel free to look at our process book above for a full documentation of our work. 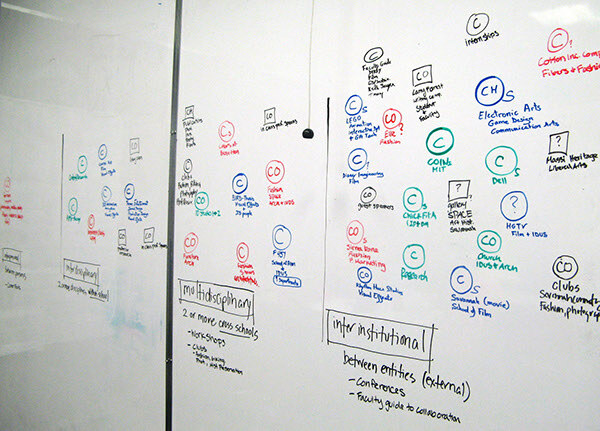 Contextual Research is a required course in Design Management at the Savannah College of Art and Design (SCAD). 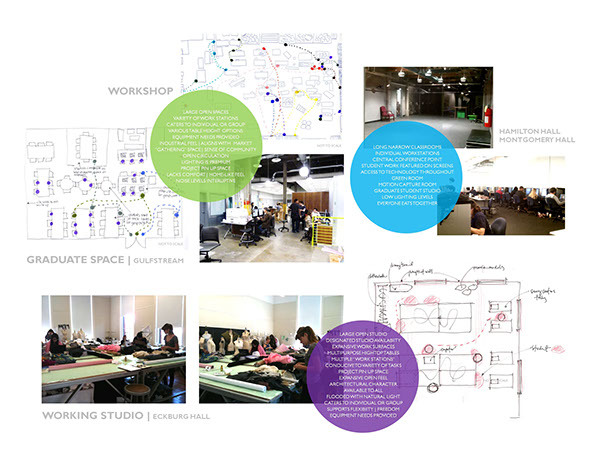 The client was the Collaborative Learning Center at SCAD. Our goal was to understand the essence and culture of collaboration within the Savannah campus.